One of my favourite reading challenges has commenced again. 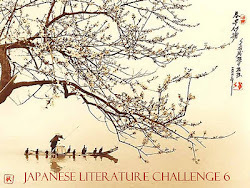 Although I am drawn to Japanese literature anyway, Dolce Bellezza‘s Japanese Literature Challenge always makes me focus on why I read Japanese literature and the connections it has with my other choices over the year. I’m also nosy about what others are reading which often leads to some exciting new discoveries. 1Q84 by Haruki Murakami – Er, I’ve had this since it was published and have only dipped into the first chapter. What is wrong with me? 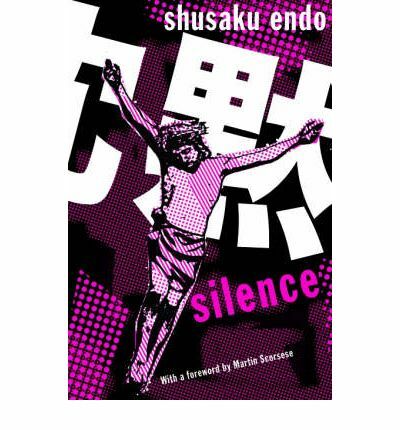 Silence by Shusaku Endo – I’ve read so much about this book and have finally got a copy of my own (well, I got my friend to buy it for me for my birthday last year, heh.) Endo is one of my favourite Japanese writers (both The Samurai and The Volcano are beautifully written) and I can’t wait to read this. I also have a growing stack of fiction in Japanese. Apparently I have no problems buying and hoarding books in other languages even though I don’t read them. I may want to try one of them although most of them haven’t been translated into English. However, it’s good to know and keep an eye out for interesting authors that may get translated one day, right? I try to keep abreast with the literary world in Japan but like in the UK, there are SO many books being published every year. So what I normally do is look at the prize lists such as the Naoki and Akutagawa Awards and check out recommendations in the Japanese magazines I do read. And then maybe I might also choose something from my perennial list of Mishima, Kawabata and Banana. What do you think? Should I branch out more? And more importantly, what are YOU going to read? Have read 1q84 & altho I enjoyed it, not as much as others by him & as for Endo, just a wonderful writer. 1Q84 seems to have had mixed responses which makes it interesting as I don’t know what to expect:) Endo is my big find since I started blogging. Even though I knew about him, I never tried his books until I started reading all the blog posts for the JLC. Sounds like an interesting challenge, I’m planning on reading 1Q84 over summer and did enjoy a couple of Yoko Ogawa’s books this year. I also have Murakami’s ‘What we Talk about When we Talk about Running’. You’ve branched out more than me, thanks for the recommendations. Ditto! I read Ogawa’s The Housekeeper and the Professor which I really enjoyed. I’ve heard her other books are a little more extreme but do plan to read more at some point. I read What We Talk About When We Talk About Running several years ago and LOVED it so I do hope you get to read that too! And I hope you join the challenge too! I love Endo’s writing. I’ve read both Silence and Wonderful Fool (outstanding, each of them!) but I haven’t read the two you mentioned (The Samurai and The Volcano). See? I love this challenge for the same reasons you do: to read more books in the genre, but also because I’m nosy and want to see what others are reading. I liked 1Q84, but I didn’t love it. At least, not as much as Kafka on The Shore and The Wind-Up Bird Chronicle. I’m hoping to read more Banana Yoshimoto, too, particularly Asleep. I also want to read The Square Persimmon (collection of short stories) because every year it’s been mentioned with great praise. So glad you’re participating with me again, Sakura! I really loved both Kafka on the Shore and The Wind-up Bird Chronicle too. 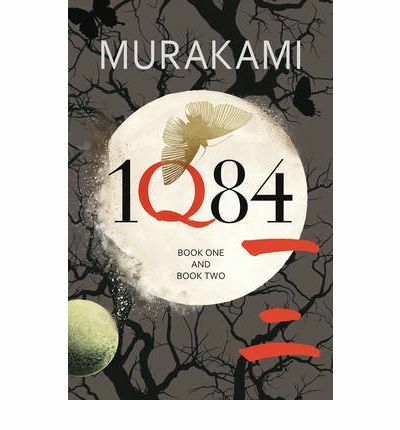 Not sure what to expect of 1Q84 now but I’m looking forward to reading it. As I told Parrish Lantern, I only decided to try Endo’s books after seeing all the amazing responses to Silence on the JLC, so thank you! He is possibly my favourite Japanese writer. I haven’t tried The Square Persimmon so will have to check it out! Oh, I hope you do give Endo a try, Stu! I like 1Q84 but not as much as the others. 1Q84 is effectively 3 books, so you will be in for a treat! Silence is one book that I really really want to read so much…. All the very best. Seems to be a common reaction to 1Q84… maybe because of all the anticipation? I’m looking forward to finally getting to grips with it though. And there are 3 books! I’m preparing myself not to have any expectations now.